Tento prístroj bol nahradený modelom PSA 1302. Marker Accuracy: 1/320th of Span ± 0.1kHz plus reference frequency accuracy. Readout: The level at the marker points and difference are displayed. Number of Limit Lines: Any number of lines can be defined with up to two displayed simultaneously. Limit Line Editor: Tables of amplitude versus frequency with automatic straight line drawing between points. Sweep Method: Peak detection for 320 points per sweep. The amplitude and frequency of the peak level found within each sub-span is stored (sub-span = span/320). Sweep Time: Set automatically by Span, RBW and Video Filter. Sweep Modes: Normal (continuous), Single, Peak Hold, Average (2 to 256). Sweep Control: Run and Stop buttons. Peak-hold and Average are reset whenever Run is pressed. Display: Carrier amplitude only (horizontal line). Display Type: 3.7 inch (9.4 cm) backlit TFT LCD, 480 x 320 pixels total, 16 bit colour, touch screen. Trace Area: 300 x 320 pixels (high resolution mode). Graticule: 8 x 10 divisions, light grey graticule with annotation (graticule selectable on or off). Displayed Points: 320 points per sweep (peak detected). Live Trace: Dot-joined trace from current or held sweep using . Selectable on or off. Reference Trace: Stored trace either recalled from memory or copied directly from live trace. Selectable on or off. Resolution Modes: Selectable as High Resolution or Low Resolution. Memory Type: Non volatile Flash memory, using removable SD or MMC cards (one card supplied). Store Trace: Any number of traces can be stored under either default file names or user entered file names. Traces are stored as tables of amplitude versus frequency and can be imported into other programs, as well as being recalled to the screen. Recall Trace: Recalls any stored trace to the reference trace of the display. Store Set-up: Any number of instrument set-ups can be stored under either default file names or user entered file names. All settings of the instrument are saved. Recall Set-up: Recalls any stored set-up, overwriting the existing settings of the instrument. Copy Screen: This function copies the whole screen area to memory as a bit-map. Any number of screens can be stored under either default file names or user entered file names. Screen bit-maps can be viewed using the handheld picture viewing function, or transferred to a PC for printing. RF Input: Standard SMA connector. DC Power: 1.3 mm power socket for 5.2V/1A external power source. USB: Mini USB connector which provides direct access to the USB port of the handheld. Audio Out: 3.5 mm jack socket for demodulated audio out (accepts mono or stereo plugs). The spectrum analyzer and the handheld contain their own rechargeable battery packs. The spectrum analyzer is controlled from the handheld and is turned off whenever the spectrum analyzer program is exited, or the handheld is turned off. Auto Sleep Mode: To conserve battery life, the system can be set to automatically switch into sleep mode after a defined time from the last key press. This can be set between 5 mins and 60 mins (or never). Battery Status: Indicators for both batteries. 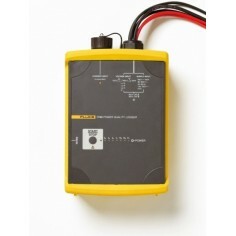 The PSA1301T can be operated from mains power using the AC line adaptor provided. 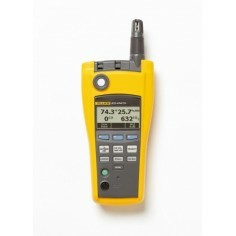 This powers and recharges both the spectrum analyzer and the handheld computer simultaneously. Weight: 495 grms total inc. Palm T|X. Tilt Stand: Built-in tilt stand for bench use which angles the unit at approx. 25 degrees to the horizontal. Stylus: Casing incorporates standard Palm stylus. Operating Range: +5°C to + 40°C, 20% to 80% RH. Environmental: Indoor or outdoor use at altitudes to 2000m, Pollution Degree 2. 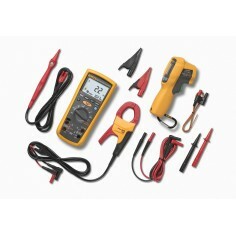 Electrical Safety: Complies with EN61010-1. The PSA1301T incorporates a Palm T|X handheld computer. One SD (or MMC) memory card. USB linked card reader for use with PC. USB lead (mini B plug to standard A plug). Multi-language “Read This First” leaflet. Support CD containing multi-language manual and backup software.